From reporter Isiah Carey (HOUSTON) - The lawsuit that pitted Houston-based rapper Trae Tha Truth against Radio One, Inc. station 97.9 The Box has been dropped. Trae Tha Truth filed his lawsuit in May that claimed the Radio One-owned company prevented him from making a living with an alleged ban on the rapper and his music. The legal team for Radio One, Inc. filed a counter suit to even the legal battle. On July 22, however, both sides simply agreed to drop their lawsuits. 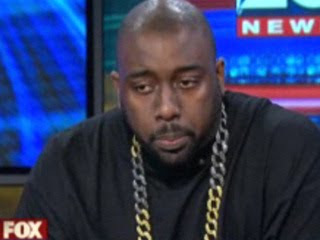 Warren Fitzgerald, attorney for Trae tha Truth, confirmed with FOX 26 News that both sides agreed to walk away from the legal battle, but there was no settlement of record. Fitzgerald said there are a lot of positive things that Trae tha Truth can do and that he and the rapper will refocus their efforts. He did not say specifically why both sides decided to walk away from the fight. FOX 26 has not been able to reach attorneys for Radio One, Inc. Coincidentally, the lawsuits were dropped on [last] Thursday, which was Trae Day in the City of Houston. Check out our previous post on the Trae Tha Truth lawsuits including the Brandi Garcia firing from 97.9 The Box, by clicking on ANY LABEL below... things still seem they're not on the level with this case.